Available at iTunes, CDBaby, Spotify, Google Play, Apple Music, Amazon and other online digital retailers. The song, "Dear Guardian Angel", written by Betsy Walter, Vanessa Bransan & Kenny Lamb, has been selected as a NSAI TOP 40 song! Listen to the song at this link https://tinyurl.com/DearGuardianAngel-NSAI-Top-40 and click the Thumbs Up "LIKE" button if you like it! The Nashville Songwriters Association International (NSAI) TOP 40 songs https://www.nashvillesongwriters.com/nsai-top-40-0 are member compositions selected each quarter through staff picks and different services provided to active members. The services include: NSAI's Song Evaluation Service, Workshops, Online Pitch and Mentoring Sessions. The song, "Mess It Up", written by Betsy Walter, Matt Rogers & Steve Mitchell, appears on Matt Rogers' EP release, "Richest Place On Earth" as track #4!! The EP was released on May 26, 2017 and is available at all online digital music retailers. A CD, which includes two bonus tracks, is available for purchase at all live Matt Rogers' shows and at http://www.mattrogerscountry.com/. The song was written and produced by Betsy Walter and Kenny Lamb to support Williamson County Schools' (Williamson County, Tennessee) anti-bullying, prokindness campaign and help proliferate a culture of kindness in the Williamson County Schools. The song is available on iTunes http://tinyurl.com/nebzjkx and all digital music retailers. The song "BE NICE" has been named finalist in the 2016 Global Peace Song Awards!! The song was written by Betsy Walter & Kenny Lamb for the antibullying, prokindness campaign for Williamson County Schools​, which started as a Fairview High School​ motto and public service announcement against cyberbullying. "Be Nice" grew into a county-wide campaign and now is global-wide with the finalist designation in the Global Peace Song Awards. 1) Vote Now! Click this link- http://tinyurl.com/LIKE-BeNice -LIKE the GPSA Facebook POST to vote for BE NICE for the OVERALL GPSA "Social Media Award"! The most overall Facebook "likes" wins the Global Peace Song Awards "Social Media Award". 2) Vote Now! Go to http://www.globalpeacesongawards.org/ to vote in the HIP HOP Category for BE NICE for the GPSA "Fans Choice Award"! All voters must register to place vote. The most votes per song (in each category) and the Finalist (in each category) wins the Global Peace Song Awards "Fans Choice Award". "THE SOUND OF CHRISTMAS" SINGLE!! "Fun, snappy, jazzy, good time!! "The Sound of Christmas" sounds like a timeless Christmas holiday classic from the golden era of all the favorites!!" Take a listen, grab a download and add to your holiday jams if you like it! 2. Video and Single Release! - The official "Pieces Of Jesus" (gospel) video https://youtu.be/uUh3U_DZShI and single are here!!! They were released in April 2015. The amazing, beautiful video was conceived, directed and produced by Dan Klepper http://www.danklepperart.com/. The song was written by Betsy Walter, Carlos St. Omer, and Kenny Lamb and produced by Betsy Walter & Kenny Lamb. See the video and listen to the song at YouTube https://www.youtube.com/watch?v=uUh3U_DZShI and GodTube http://www.godtube.com/watch/?v=0C1F1FNU. Both the songs and video are SongDriven Media http://songdrivenmedia.com/ releases. SongDriven is the innovative company dedicated to songwriters and the great songs they write that never get heard because there aren't enough artists to cut those songs. SongDriven created the solution! In 2013, SongDriven, founded by Andrea Standley & Kenny Lamb, introduced to the music and radio industry, the new "hits without artists" Song Format. This new song format markets and promotes songs to radio and mainstream without associating the songs to a particular artist. SongDriven is only about the Song and the Songwriter. Read about SongDriven Media here. http://songdrivenmedia.com/ The first of many multi-genre releases by SongDriven Media was the CD album, SongDriven Christian Vol. 1, http://www.cdbaby.com/cd/songdriven available at iTunes https://itunes.apple.com/us/album/songdriven-christian-vol.-1/id694130621, CDBaby http://www.cdbaby.com/cd/songdriven, and other online retail outlets. "JUST FRIENDS" SONG RELEASE - ADAM DOLEAC BAND "DREAMCATCHER" & CONTEST NEWS! Betsy Walter & Adam Doleac's song "Just Friends" was a SEMI-FINALIST in the UK Songwriting Competition. NEWS! TONIGHT! FEATURED ON RADIO! NEWS! TONIGHT! FEATURED ON RADIO! 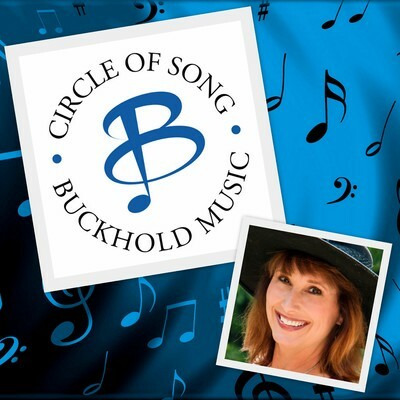 Tune in this Sunday night, Nov 2, 8:00 PM CDT, Angel 95 KHCA (http://angel95.irdb.fm or smartphone app "ANGEL 95 KHCA") for "Off The Grid" program featured interview with songwriter/producer, Betsy Walter, and songs from SongDriven Media's release, SONGDRIVEN CHRISTIAN VOL. 1 (http://www.songdrivenmedia.com). Songs "Pieces Of Jesus" (Betsy Walter/Carlos St. Omer/Kenny Lamb), "Homesick Angel" (Christopher DeMaria/Julianne Buccino), "How We Live" (Andrea Standley) set to air! KHCA (95.3 FM) "Angel 95" is a Contemporary Christian Music formatted radio station licensed to Wamego, Kansas. "...right here, right now, I'm about to give in, with every little touch you got me jumping right out of my skin...."
NEWS!!! FEATURED ON RADIO!!! Tune in TONIGHT! !-Sunday night, June 29, 8PM CDT, Angel 95 KHCA http://angel95.irdb.fm/ or smartphone app "ANGEL 95 KHCA" - Google Play Store/iTunes App Store) for "Off The Grid" featured interview with SongDriven Media co-founder, Kenny Lamb http://www.songdrivenmedia.com. Songs - "Lost Without You Lord" (Betsy Walter/Antonia Venezia), "Pieces Of Jesus" (Betsy Walter/Carlos St. Omer/Kenny Lamb), "The Lord's Prayer" (Carlos St. Omer), from SONGDRIVEN CHRISTIAN VOL. 1 album set to air!